Hello lovely readers. Today's post may seem a bit strange as it is a letter. Specifically a thank you letter to someone who I won't name (although it's probably very obvious). I have been feeling particularly grateful for this certain individual recently do I wanted to do a post in the form of a thank you letter to show how thankful I am. 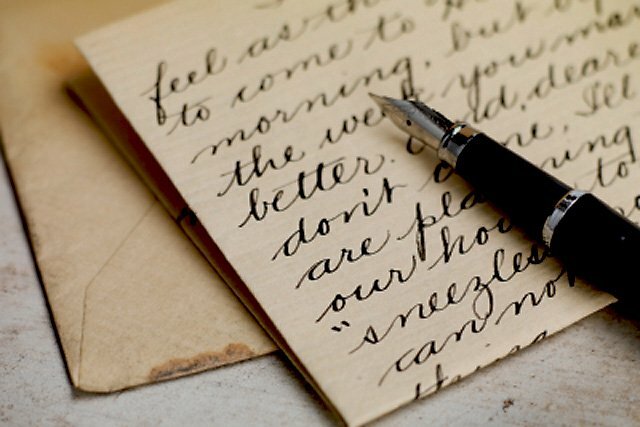 I thought I would write a thank you letter to you. You're probably thinking "but why I haven't done anything? ", well that's just it, you have, you have done and you continue to do so. Most of the time without realising you're doing it. Which if anything makes it even more incredible and makes me appreciate it all the more. Thank you for putting up with me when I'm inexplicably in a bad mood and for always managing to make me laugh even if I'm trying to be in a strop. Thank you for holding me when I cry and thank you for getting me through a panic attack or through my extreme patches of anxiety. I want to thank you for not only the way you see me but for how you make me see myself. Thank you for showing me that I am capable, that things will be OK and that I am worthwhile. And thank you for reminding me in those moments when I forget. Thank you for letting me watch Fruits Basket for hours without complaining and thank you for not laughing too much at me when I sobbed at Moulin Rouge. Thank you for putting up with my Studio Ghibli obsession and thank you for listening to me when I talk about Peter Gabriel for hours. Thank you for listening me tell you that I touched Audrey Hepburn's LBD from Breakfast at Tiffany's for the 100th time. Thank you for buying me Tsums or Disney Lego when I've had a bad day. Thank you for buying me orange juice when I'm feeling poorly and thank you for ensuring me I'm not going to die when I have a cold. Your encouragement means the world to me, without it I probably wouldn't have started this blog or gotten through university. Thank you for encouraging me to try new things and to believe in my skills and talents. Thank you for accepting me for exactly who and what I am, flaws and all. Knowing that you love me for who I am rather than an idea of who I am makes me feel, well, words haven't been created to do the feeling justice. Thank you for being there with me for all the best moments and through the worse. Thank you for creating beautiful memories that will stay with me forever. I hope you all enjoyed this post and it wasn't too soppy for you. Who are grateful for? Who would you write a thank you letter to? Thank you so much Kim I'm glad you like it. Aw your husband sounds like such a lovely person, you're both lucky to have each other! I hope you're having an amazing week so far lovely lady!